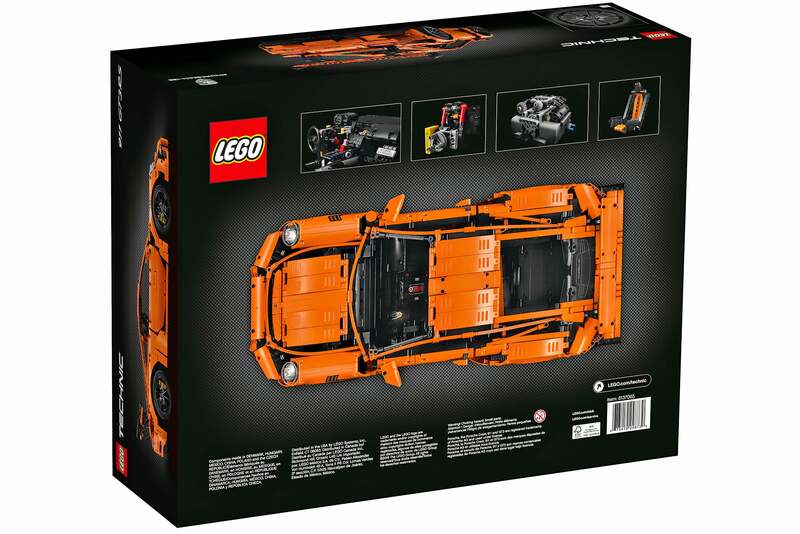 Lego just officially confirmed that its massive 2,704-piece Technic Porsche 911 GT3 RS set will be available on June 1 for the hefty sum of $US300 ($389). Originally teased at the Nuremberg Toy Fair wearing dazzle camo to hide its curves and final design, the creation is quite simply a work of art. Three C-notes is expensive for a Lego set, for sure. 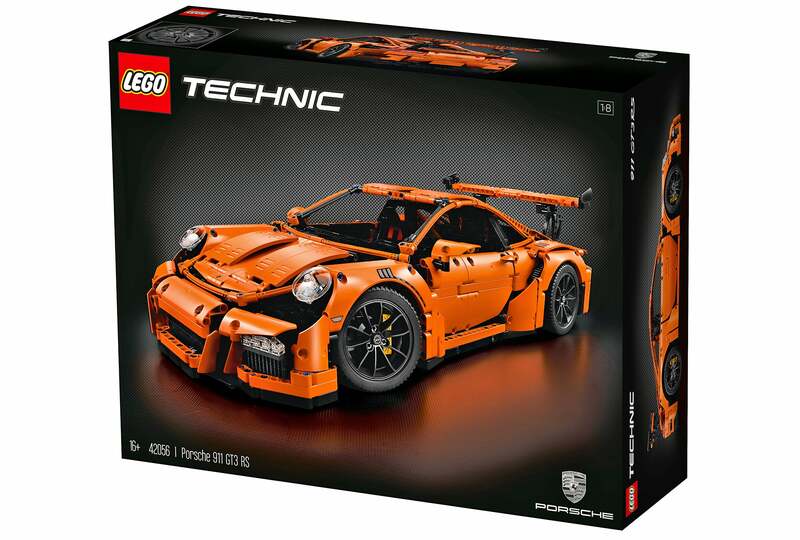 But it's actually quite reasonable if you've always dreamed of owning a real Porsche 911 GT3 RS but don't have $US175,000 ($227,002) in your toy budget. 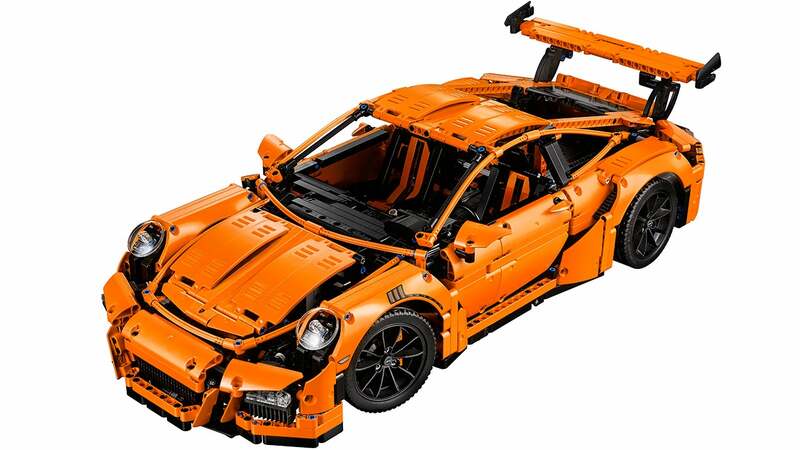 At 1:8-scale, Lego had a lot of room to pack some impressive features into this model, so you won't necessarily be disappointed to settle for a plastic version of your dream car. The model features detailed, orange bodywork, red suspension springs, detailed headlights, taillights, brake calipers and rims with low-profile tires. The accessible cockpit features a detailed dashboard, working gearbox, steering wheel with gearshift paddles, racing seats and a glove compartment containing a unique serial number. Functions include opening doors and hood with storage compartment and suitcase, and an opening rear lid that houses a detailed flat 6 engine with moving pistons. And don't forget, you also don't need to worry about insuring this Porsche, which might make coughing up $US300 ($389) for the model a little easier.